Frey Nicolás Ovando y Cáceres was born into a rich family in Spain. In 1502 he become the third Governor and Captain-General of the Indies. There were too many complaints about then Governor Francisco de Bobadilla. 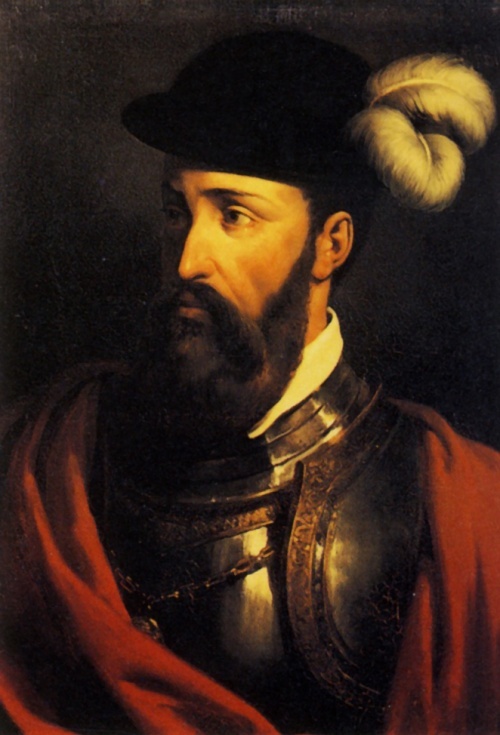 Ovando replaced Bobadilla and served as the Governor of Hispaniola between 1502 and 1509. When Ovando arrived to take over his appointed post as governor of Santo Domingo he brought with him over 30,000 colonists to populate the island. Ovando was a conquistador. In a very short time he exploited and enslaved the islands indigenous peoples. He exterminating entire towns (Slaughter of Jaragua and Higüey), conquering and enslaving the native people. He forced the natives to work in homes and to plant crops, including the introduction of sugar cane. He used them to mine for gold. They were used as slaves on the ships that returned to Spain. Ovandos type of governing was the model of the great conquering of Spain in the new world. 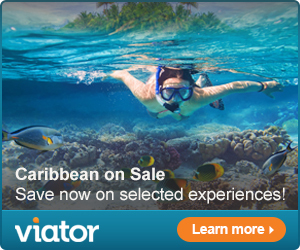 He commissioned expeditions of discovery and conquest throughout the Caribbean, all from his offices here in Hispaniola. He founded 17 villages and cities on the island. He instituted the first town halls. 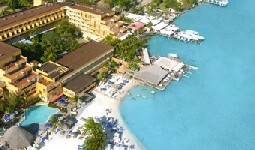 Under Ovandos rule the Spanish colony of Santo Domingo became very rich. The wealth cost the lives of almost all of the original native inhabitants of the island. One of first terrible acts Ovando committed when he became Governor was to order the arrest of Anacaona. Anacaona was a Taíno queen. Ovando had his army search for and find her. While searching for her the army massacred many of the indigenous peoples. Anacaona was executed by hanging. After her death many of the natives fled their island home. 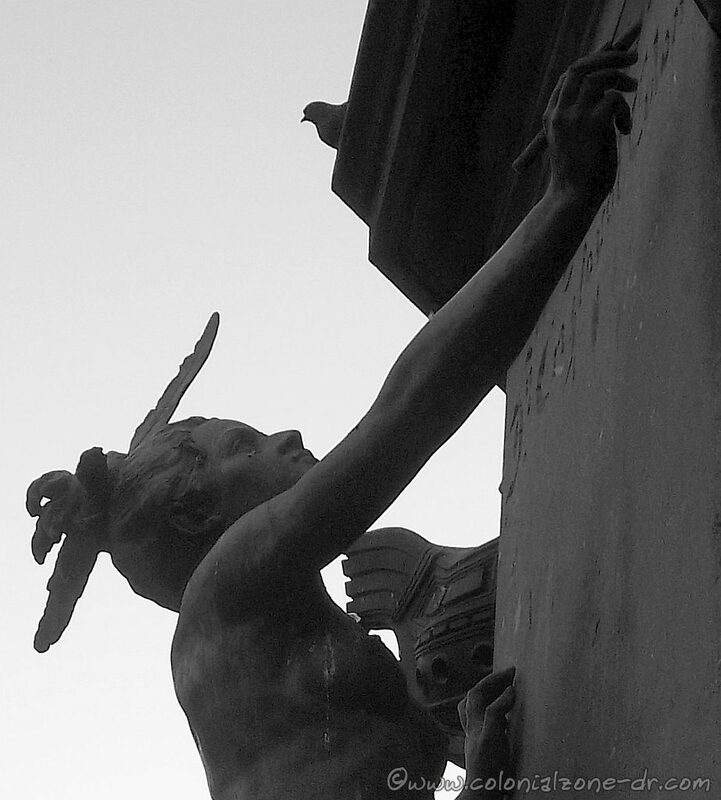 A statue of Anacona can be seen in Parque Colón climbing up the side of the Columbus statue. 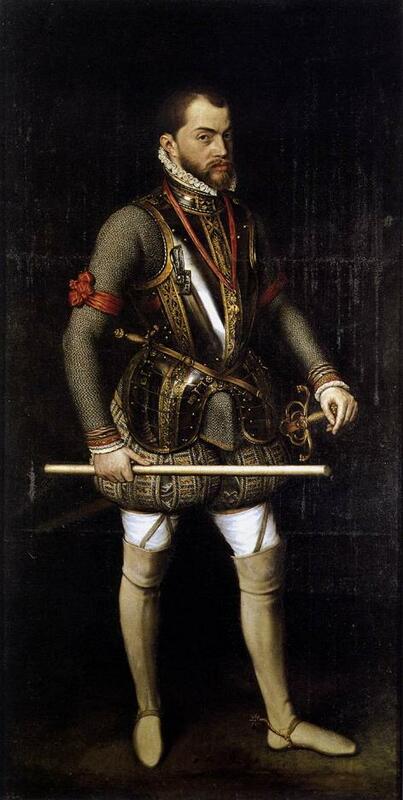 King Ferdinand V made the brutal Ovando return to Spain in 1509. He was ordered to return because of his brutal treatment of the native people. Diego Columbus was then appointed as Ovandos successor as governor. Ovando returned to Spain a rich man. He was permitted to keep all the property and riches he acquired while exploiting the island and its native people. The very large and elaborate home of Ovando is located on Calle las Damas and is now elaborate Hostal Nicolás de Ovando. There is a huge bronze statue in the center of Plaza España honoring the 3rd Governor of Santo Domingo. 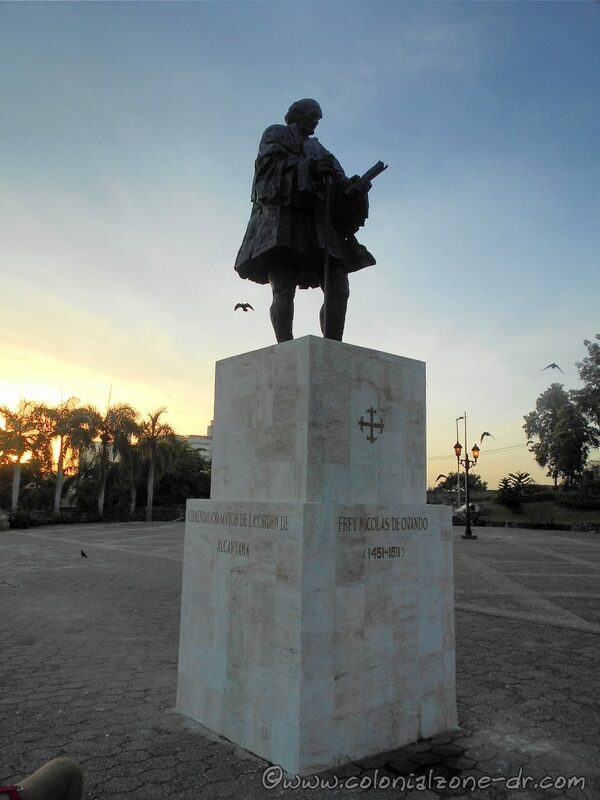 In the stone pedestal on which the statue stands are the inscriptions “Comendador Mayor de la Orden de Alcántara” / “Supreme commander of the Order of Alcantara” and “Fundador de la Nueva Ciudad de Santo Domingo” / “Founder of the New City of Santo Domingo”. 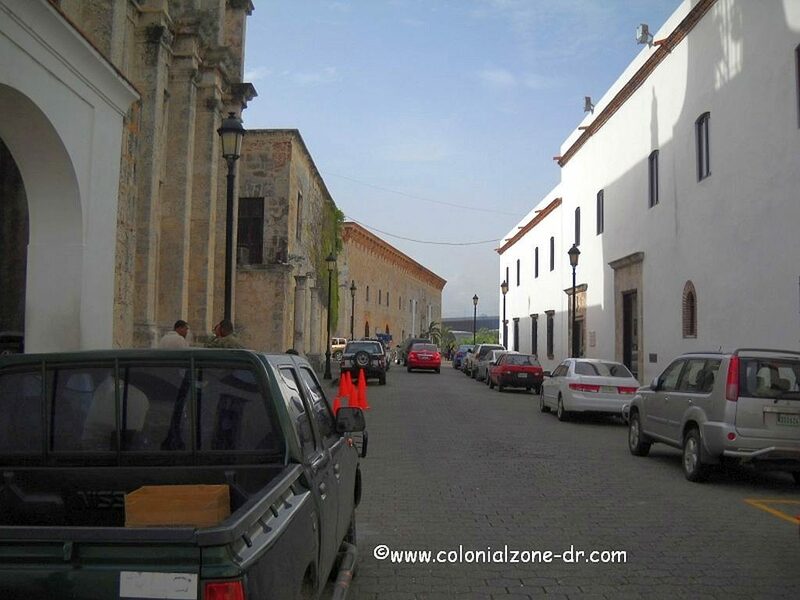 *The appointment of Fray Nicolas de Ovando as governor of Santo Domingo was instrumental in the construction of the historical and tourist center today known as Colonial Zone. He gave it the charm and charisma it still has to this day. *The governor built in the Ciudad Primada/ First City streets and buildings, such as the Convento de San Francisco/ Convent of San Francisco, Hospital de San Nicolás/ St. Nicholas Hospital, la Casa de La Moneda/ Casa de La Moneda, La Torre del Homenaje/ the Tower of Homage many beautiful private homes and also many streets including Calle del Rey/ King Street, later called Calle de las Damas. *Villa Nueva Isabela, now called Villa Duarte, was the original settlement founded by Bartolomé Colón It is located on the other side of the Rio Ozama. The settlement was hit by a major hurricane in 1502 and almost destroyed. 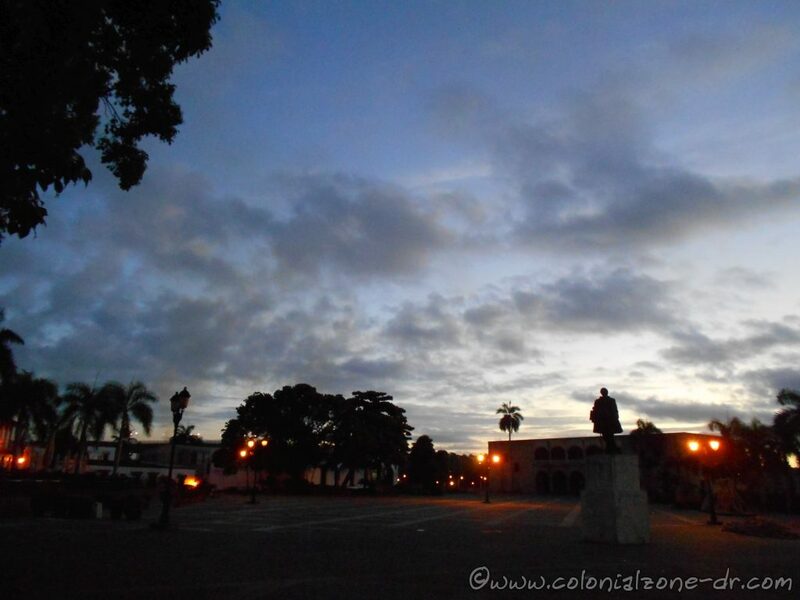 Fray Nicolás de Ovando was responsible for moving the settlement to the west bank of the Ozama River where Zona Colonial is now located. 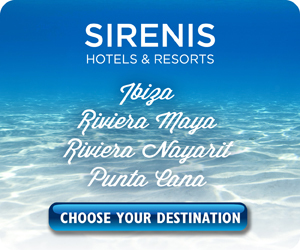 *The Franciscan Monks arrived in 1502 under the command of Nicolas of Ovando. They started the construction of the the first monastery in the new world in 1508. El Monasterio de San Francisco now stands in ruins. Francisco de Bobadilla was born in Spain about 1450. He became a nobleman who served fighting against the Moors when Spain retook their country. 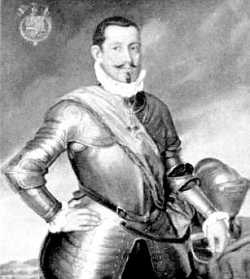 His title was Francisco de Bobadilla, Chevalier and Knight. Commander of the Royal Order of Calatrava. Because of his title and service he was favored by the royal family. Cristóbal Colón (Christopher Columbus) was the governor of the island at this time. He ruled along with his brothers, Bartholomew and Giacomo (also called Diego). King Ferdinand and Queen Isabella were hearing many complaints about what was happening on Hispaniola. The Queen sent Bobadilla to the new colony to check up on the Columbus boys. She wanted him to find out what was happening first hand. In 1499, because of all the bad reports, the Queen appointed Bobadilla to succeed Diego Columbus as the second governor of the Indies. Bobadilla arrived in the colonies in 1500 to take over. 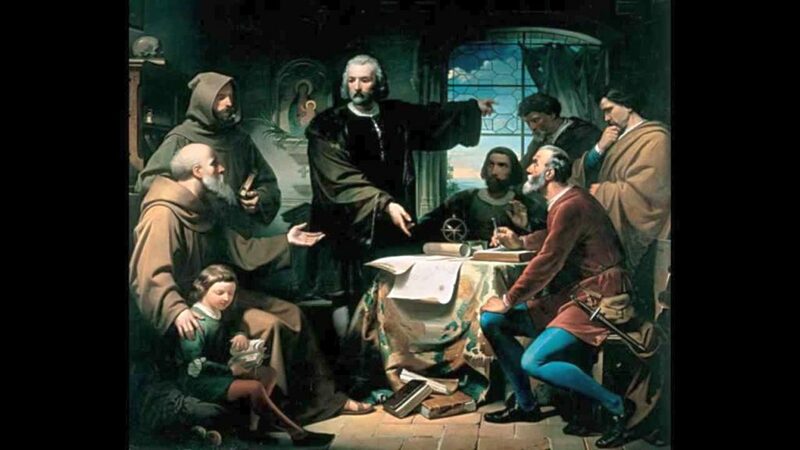 When he found out exactly what the brothers Columbus were up to Bobadilla took action. He took it upon himself and had Columbus and his brothers captured. He confiscated all their goods and belongings and had it all sent back to Spain. The Columbus men were also returned to Spain bound in chains. The Queen became angry because she didn’t order these actions. In 1502 Nicolás de Ovando y Cáceres replaced Bobadilla as governor of Hispaniola. The Queen sent for Bobadilla to return immediately to answer to her. The second governor of the colony never made it back to Spain. He never got to face the wrath of the Queen. Francisco de Bobadilla died July 11, 1502 in the Atlantic Ocean during a hurricane in the Mona Passage while making his return. The storm wrecked most of the 31-ship convoy including the one containing dethroned governor. *It is thought that Columbus had an affair with Bobadillas’ niece, Eleanora de Bobadilla. She was married to Alfonso de Lugo, the Governor of all the Canary Islands. Columbus made many stops to the island to restock his supplies whilst sailing the islands. Maybe he did a little more than only restocking?